Tattoo remorse is very common today as more people regret getting certain tattoos or want to update them. Jill Waibel, MD, FAAD, a board-certified dermatologist, uses a variety of cutting-edge, high-powered lasers to remove tattoos of all types on people living in Miami, Fort Lauderdale and Kendall, FL, as well as nearby communities. 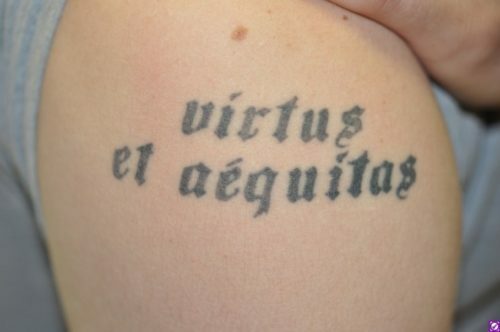 Modern advances in laser technology offer effective techniques to remove unwanted tattoos with less discomfort, downtime, and fewer treatment sessions required. Lasers use rapid pulses of light directed at the ink on the skin. The light pulls the ink breaking it down in the process. Once complete, tattoos are eliminated or greatly diminished. At Miami Dermatology and Laser Institute, the dermatologists are highly trained in the latest advances of cosmetic laser treatments. Tattoo removal treatments are customized for each patient based on the extent of the tattoo and the colors used in the design. There are a variety of laser treatments to greatly fade or eliminate the appearance of tattoos. Our dermatologists determine which laser is best suited for each patient based on the extent of the tattoo and skin type. While each laser achieves different objectives, the treatment process is similar. High-powered lasers use pulses of light to penetrate the skin. This forces pigment particles to vibrate, in turn causing ink particles to break down and ultimately disappear. Each treatment typically takes no more than an hour to complete with patients requiring multiple treatments to eliminate or greatly fade the unwanted tattoo. 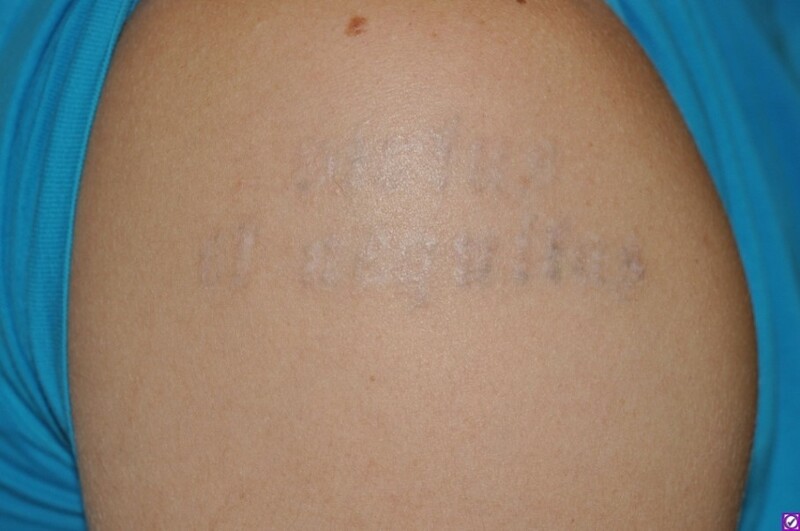 Laser tattoo removal requires some care following each treatment. The area is typically covered with petroleum jelly or other ointment to act as a barrier and protected with a bandage. The area may have a heat sensation that usually resolves itself within a day or two. We recommend patients avoid showers for the first 24 hours following each treatment. The healing process typically takes one to two weeks. Once the area has fully healed, the dermatologist evaluates the area to determine and prepare for the next treatment. If you have a tattoo you regret getting or simply want to be less “inked,” you may be a good candidate for laser tattoo removal. To determine how effective the procedure may be, we recommend you schedule a consultation with a dermatologist at Miami Dermatology and Laser Institute. If you live in Miami, Fort Lauderdale or Kendall, FL, or in any of the surrounding cities, and have a tattoo you want removed, contact Miami Dermatology and Laser Institute to schedule a consultation with one of the board-certified dermatologists so they can evaluate your tattoo. Contact us today.